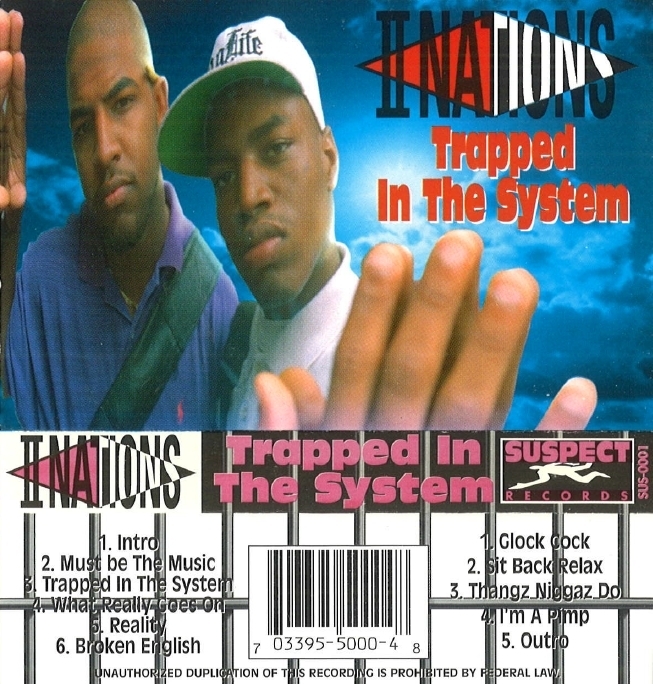 II Nations is a duo that represents from the wild neighborhood of South Park in Houston, TX. It consists of Showtyme and K-Swift. One might remember Showtyme due to his later prominence in the H-Town rap scene but this release will remind the listeners of is his raw and humble beginnings. 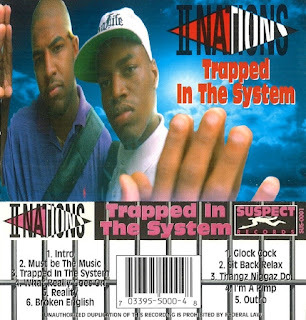 Trapped In The System is their debut album and it was released in 1994 on Suspect Records. Production is handled by the masterful John Swift, while being assisted by Don Honoree and Byron Hordge. 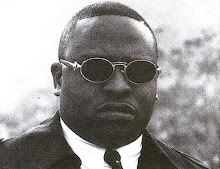 The beats are a classic example of mid nineties Texas funk. Not only are the groovy on the ears but are also hard and edgy in composure. They display various construction properties such as sampling, scratching, and most importantly, proper mixing. Lyrics are also of worthy of praise. The two members bring upon a diverse force upon the microphone. For example, Showtyme is more blunt and strikes the listener with his powerful voice meanwhile K-Swift is a bit laid back in demeanor and his smooth delivery and overall tone is easy going. Also, the two rappers have great chemistry together and can feed off of each other with ease. Guest appearances are made by Grimm, Papa Reu, Endo, Pistol Grip, Gangsta Profile and Broken English. All in all, this was a decent release that closes out with eleven tracks. Subject matter progresses into various categories such as, the communal struggle, the overwhelming poverty and lastly, the judicial injustice. Overall, it's a strong release by the duo. It has plenty of quality content and timeless material. Even with some of these advantages, the release could not garner any type of meaningful attention. The duo ended up disappearing for a while before Showtyme reemerged in the late nineties and is still present in the music industry today. As for K-Swift, things were not so fortunate, aside from a couple guest spots, he ended up leaving the music scene altogether. In any way, what's important is what they accomplished together and that happens to be a fine work art, that not only oozes style but also gives a good sense of realism. * A big thanks goes out to save_undaground and syko187 for providing this one. * Since this is a tape only release some sound quality issues are to be expected.